Link-Belt Cranes is a leader in the design, manufacture and sales of telescopic and lattice boom cranes, with headquarters in Lexington, Kentucky. In the recent decade, a dynamic and highly-focused Link-Belt has emerged as a market leader in crane design and product quality standards by focusing on continuous improvement and employee empowerment. Link-Belt's core production base and center for worldwide operations is its 770,000 sq. ft. manufacturing facility in Lexington, Kentucky. 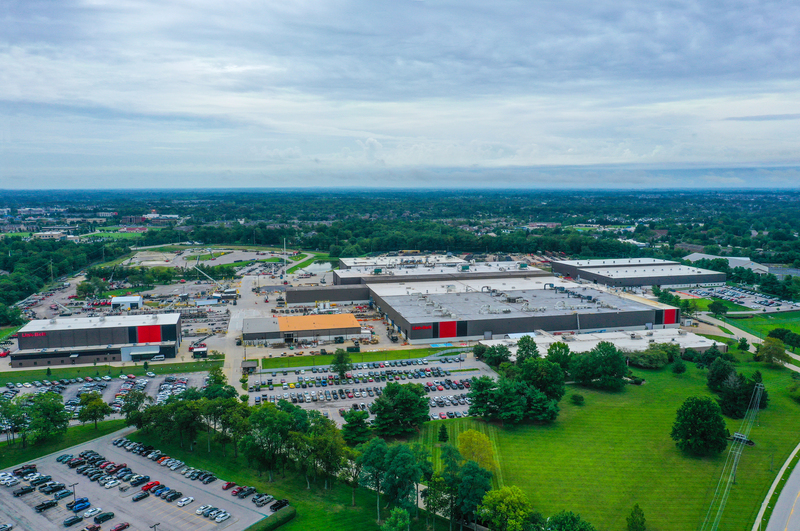 With major expansion plans over the last ten years along with continuous improvement philosophies, this facilitiy has emerged as the most modern crane facility in North America. Since 1994, Link-Belt has invested massive human resource hours in university coursework and in-house training, in addition to millions of dollars of capital improvements to make the transition to a company-wide lean manufacturing philosophy. The operating principles of SQCDE (safety, quality, cost, delivery, & environmental) were implemented and are adhered to in every aspect of all processes. Link-Belt's production system is modeled after Toyota's lean production system that is part of the advanced course curriculum at the University of Kentucky's Center for Robotics and Industry. Long-standing environmental practices were validated in October 2011 with ISO 14001 environmental management certification. In addition, the Specialized Carriers and Rigging Association (SC&RA) has awarded Link-Belt with their 2012 and 2018 Environmental Award. Link-Belt has made significant, long-term commitments to the environment, collecting extensive data from its own property and integrating widespread employee involvement. Going even further, Link-Belt used the momentum of this process to develop continual improvement targets and objectives affecting every facet of business—both administration and manufacturing. Through longstanding practices and a renewed, more aggressive commitment, Link-Belt has made outstanding contributions to environmental protection.